As the deep dive into the Paradise Papers continues, a multimillion-dollar ticket reselling scheme has been exposed. In a joint investigation with the Toronto Star, CBC revealed that Montreal-based "ticket broker" Julien Lavallée has been labelled one of StubHub's biggest worldwide sellers. Lavallée operates a company called Ticketaria with the help of his wife, father, friends and family, and the Paradise Papers have revealed just how huge their ticket reselling business is. In addition to running a company registered in Quebec, Lavallée also had one registered in the well-known tax haven on the British Isle of Man; when a CBC partner visited the latter, nobody had heard of Lavallée by name and the company was dissolved a day later. 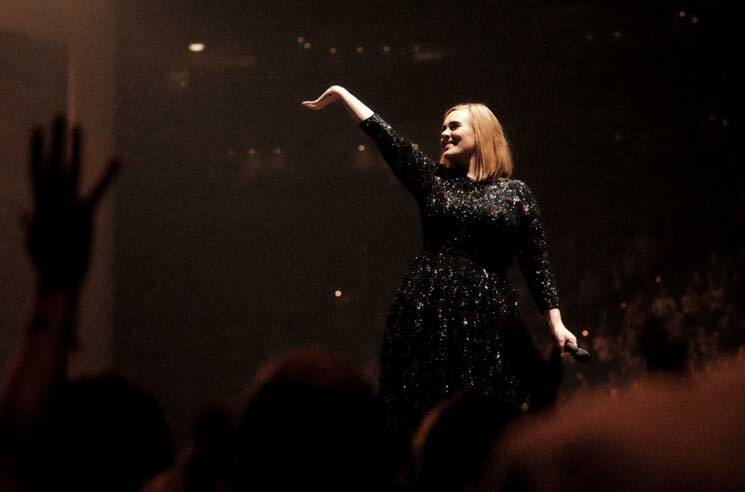 CBC uncovered particularly shocking numbers relating to Adele's world tour last year. Despite a four-ticket limit per customer, Lavallée's business managed to scoop up 310 seats within 25 minutes, according to the report. The tickets were charged to 15 different names in 12 different locations, including Chicago, Los Angeles, London and Montreal. The ticket purchases totalled almost $52,000 in face value. Other notable seat purchases by Lavallée's company include 232 Jamiroquai tickets ($25,509), 183 Ed Sheeran tickets ($24,941), 134 Metallica tickets and 102 Drake tickets ($20,081). As CBC points out, Lavallée and his colleagues likely aren't just super quick typers — some sort of bot software is likely at play. StubHub has been notoriously tight-lipped about where its inventory comes from, but CBC and the Star discovered that the "fan to fan" site hosts a password-protected portal for sellers who can shift more than $50,000 worth of tickets per year. Once granted access, those "top sellers" are offered special software to aid them in uploading and managing their massive stockpiles of tickets. In response to CBC, StubHub issued a statement acknowledging the existence of its top seller program, but also maintained that "the use of bots to procure tickets is unfair and anti-consumer." Lavallée, meanwhile, did not respond to questions. An email to the CBC from his lawyer stated that he "carries out all its activities in accordance with the laws and rules of the jurisdictions in which it operates and sells." This all comes as news has broke that investigators in the UK have raided the London offices of StubHub and Viagogo as officials investigate the secondary ticket market and suspected breaches into UK consumer law, The Guardian reports. Officials from the Competition and Markets Authority seized information about the companies' relationship with prominent "top sellers," much like Lavallée. According to The Guardian, officials seized StubHub data related to its "top seller" program in attempts to investigate unfair practices. In a statement, a StubHub spokesperson said, "We understand the CMA investigation is ongoing and therefore await the outcome of this."